After the second world war, Germans that used to live in Czechoslovakia, Yugoslavia and Hungary, part of long-existent minorities there fled and/were expelled, mostly to Germany. 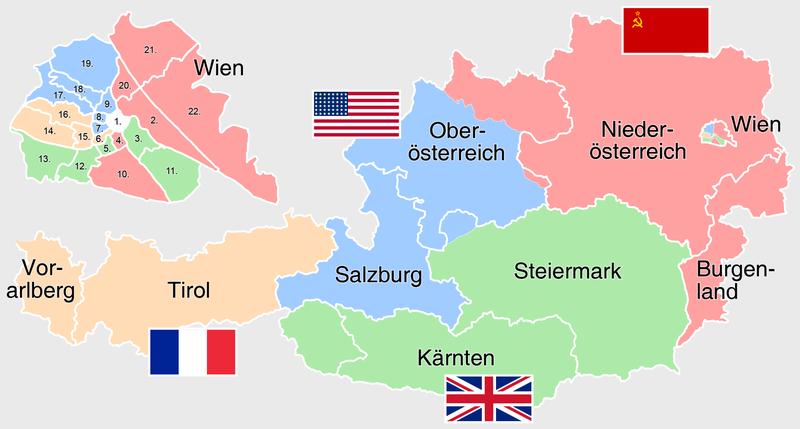 Before 1918, they used to be citizens of Austria-Hungary, whose successor state is Austria. 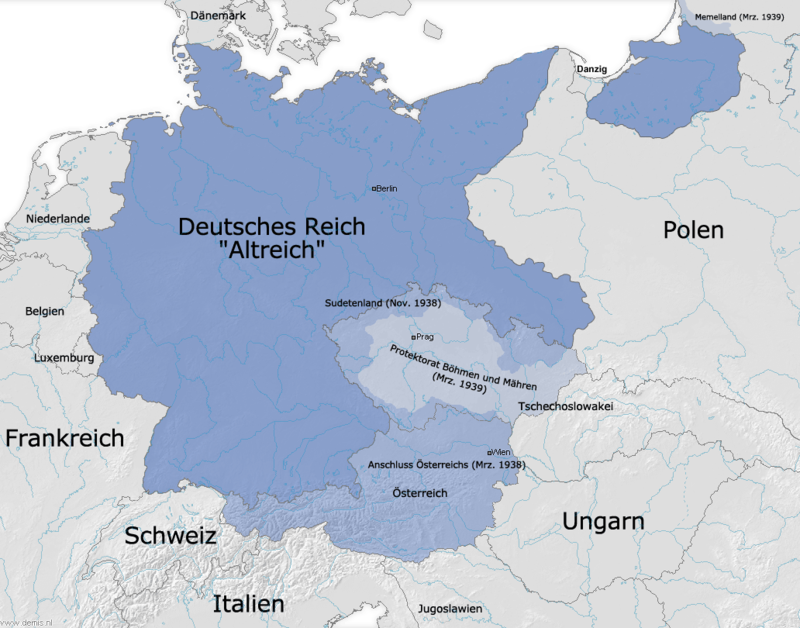 Between 1938 and the end of the war Austria was annexed to Germany and ceased to exist, yet after the war it was re-created again, so those people could have been considered Austrian again. Why did the expelled go to Germany, when it would have made as much sense to reach Austria instead ? I know Austria technically did accept some refugees, however the numbers are very marginal compared to Germany (both FRG and GDR). That means the vast majority of ethnic or linguistically German people were near the border of Germany, and not that many really neighbouring Austria. Making the transfer out of Czech lands into parts of Germany a simple matter of practicability. Then we have the phenomenon that after the end of Austria-Hungary in 1918 the Sudetenland-Provinz already wanted to join Germany, not Austria, not Czechoslovakia. The nearest borders and the hinterland were under Soviet control. Sudeten were quite often the most ardent supporters of Nazism (both for real and just imagined in the desire for revenge) and the Soviets displayed much more consequence in punishing Nazis than the other allies did. So we have a certain lack of opportunity due to location. We also find a certain lack of motivation due to future prospects of Austria as whole and long standing tendencies among Sudetendeutsche opting more for Germany than other parts of German speaking lands plus the prospect of harsher conditions under Soviet rule. This is of course only relevant for those that were able to choose some aspects of their destination. Most did not. 3,1 Millions live in Germany, in Austria 160.000, in the Czech Republic ca. 40.000, and in the rest of Europe and abroad ca. 140.000. [From Czechoslovakia] Transfers of population under the Potsdam agreements lasted from January until October 1946. 1.9 million ethnic Germans were expelled to the American zone, part of what would become West Germany. More than 1 million were expelled to the Soviet zone, which later became East Germany. On 20 November 1945 the Allied Control Council had worked out the finer details of the Potsdam Agreement. The ‘orderly and humane’ deportations were to go ahead. The first tranche covered 3.5 million Germans from the east. Of these one and a half million were to go to the British Zone and the other two to the SBZ. Another two and a half million were coming from Czechoslovakia, half a million from Hungary and 150,000 from Austria. These were to be housed in the Soviet Zone (750,000), the American Zone (2.25 million) and the French Zone (150,000). A year later the British Zone had grown by 3.1 million souls, the American by 2.7 and the Russian by 3.6. Berlin’s population had risen by 100,000 and the French Zone had taken in 60,000. The population of Germany in its reduced state had grown by 16.5 per cent. Giles MacDonogh: "After the Reich: The Brutal History of the Allied Occupation", Basic Books: New York, 2009, p190. That means that in the first two phases the 12–14 million Germans in the East fled on their own or were evacuated West, away from the Red Army. That option largely vanished in the third phase from 45–50. Except for those German living in Romania, Hungary and those few in Yugoslavia the vast majority of them were 'simply' shifted to the left of the map. 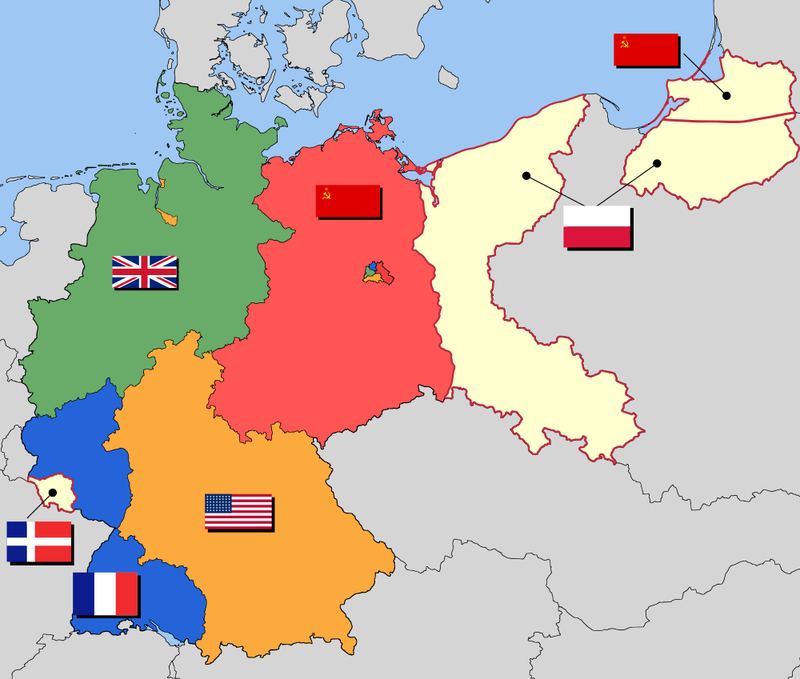 The third phase was going according to plan; the plan of the Potsdam agreement. By 1950, 150,000 of the Germans from Yugoslavia were classified as "expelled" in Germany, another 150,000 in Austria, 10,000 in the United States, and 3,000 in France. According to West German figures 82,000 ethnic Germans remained in Yugoslavia in 1950. After 1950, most emigrated to Germany or were assimilated into the local population. 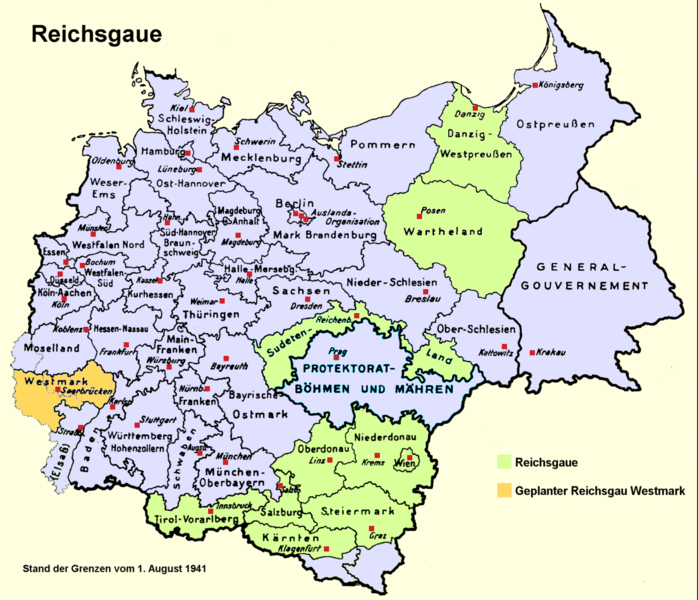 Since the influx of a large number of Germans into Germany would increase the burden already resting on the occupying authorities, they consider that the Control Council in Germany should in the first instance examine the problem, with special regard to the question of the equitable distribution of these Germans among the several zones of occupation. They are accordingly instructing their respective representatives on the Control Council to report to their Governments as soon as possible the extent to which such persons have already entered Germany from Poland, Czechoslovakia and Hungary, and to submit an estimate of the time and rate at which further transfers could be carried out, having regard to the present situation in Germany. Despite the Republic of Austria's manifold ties to German minorities in the territory of the former Habsburg Monarchy, Austrian policy in 1945–1946 was largely hostile to refugees and displaced persons. Their scope for action was, however, limited by the ultimate responsibility of the Allied occupying powers, which, despite interventions by the Austrian government, did not stop the "wild expulsions" of the German South Moravians and South Bohemia to the provinces of Lower and Upper Austria, which had been started by the Czechoslovak side after the end of the war. 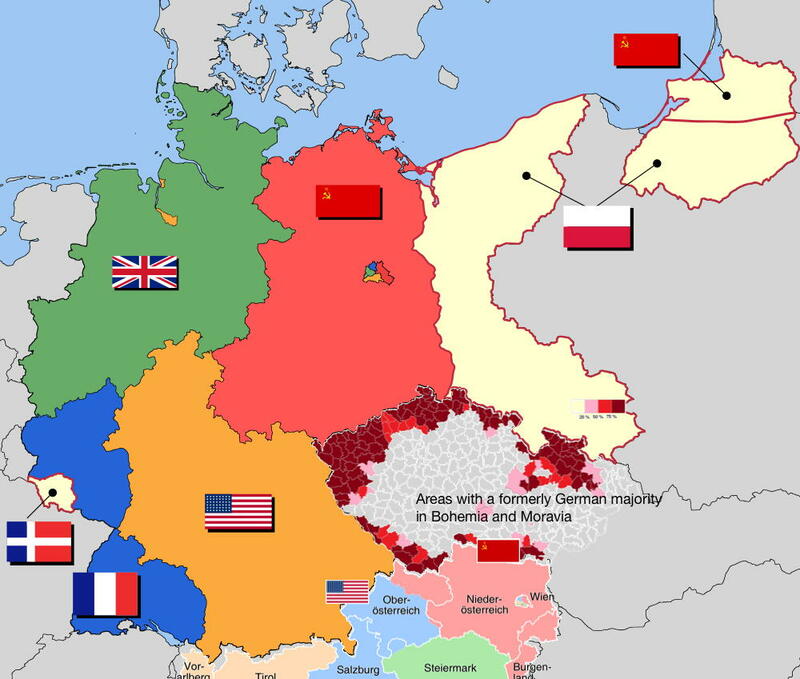 However, the provisions of the Potsdam Agreement were also to be applied to Austria and the Volksdeutsche ("People's Germans"~ ethnic Germans) who had come from Czechoslovakia, Hungary and Poland were to be "repatriated" to occupied Germany. This also corresponded to the intentions of the Austrian government, which saw itself materially overtaxed by the refugees, but also wanted to draw a sharp dividing line to its own Greater German traditions of the pre-war period. The Austrian Foreign Minister Karl Gruber (1909-1995, Austrian People's Party), for example, noted in a conversation with his Czechoslovak counterpart Jan Masaryk (1886-1948) regarding the Sudeten Germans that these were people "who had always caused them difficulties and whom they would prepare for anyone". Niklas Perzi: Flüchtlinge und Vertriebene in der Republik Österreich. In: Online-Lexikon zur Kultur und Geschichte der Deutschen im östlichen Europa, 2015. URL: ome-lexikon.uni-oldenburg.de/p32875 (Stand 16.04.2015). Not the answer you're looking for? Browse other questions tagged germany austria post-war population-transfer or ask your own question.